I went to a food blogging conference back in September and learned several tips to easy holidays and things that are often overlooked while we are in the frenzy of cooking and entertaining. Breakfast, snacks, and lunch are those things that we sometimes overlook for ourselves and our guests. I’ve done it! Made lists upon lists for the epic meal, even cheese plates for the hours before, but totally forgot to make breakfast! And here’s the thing, I eat breakfast everyday, never skipped, so how did I forget to make it for Thanksgiving, Christmas, or any entertaining family day? Who knows, but I did! Hearing from my colleagues that the most helpful yet missed meals during this time of year is breakfast and snacks made my mission focus change! While I do recall last year making scones for guests staying with us, I didn’t make them for Thanksgiving. So we are changing the tide, there shall be a healthy and filling breakfast bread ready for myself and my family all week long, including turkey day! Have you ever had lanbeh? It’s aMiddle Eastern yogurt that is majorly strained, slightly salty and also refereed to as a cheese, but it’s not, it’s totally a yogurt. 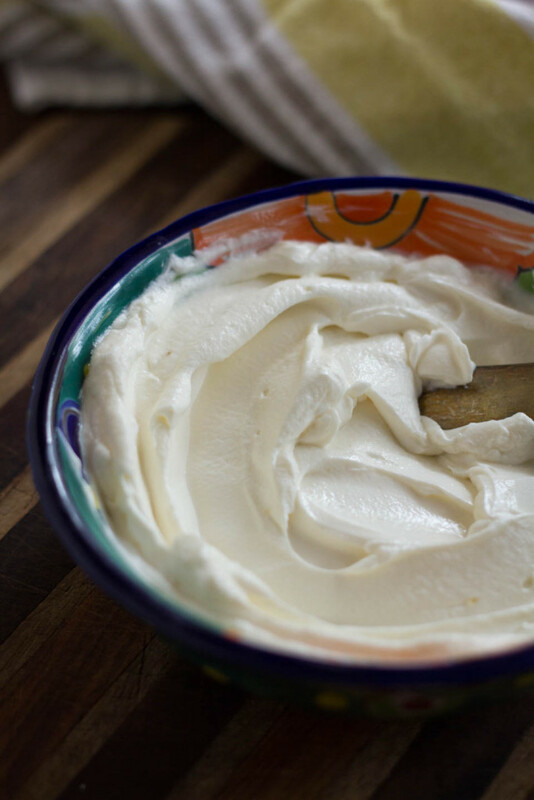 It is a luscious and super thick yogurt that has a bit less sour taste than a Greek yogurt. 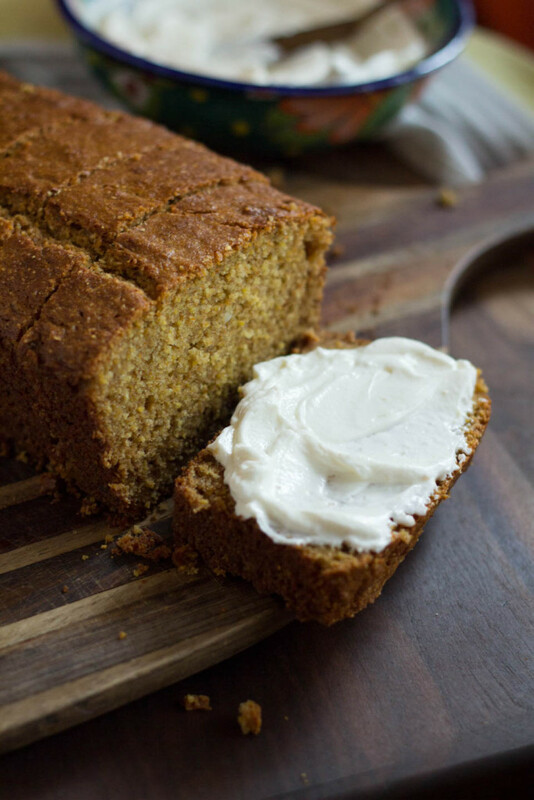 So it goes really well with sweets and savory breads as a “frosting” or spread. Naturally I used some local honey to sweeten it up a bit, and this labneh spread helps satiate you until the big meal, especially with the star of this recipe, THE BREAD! 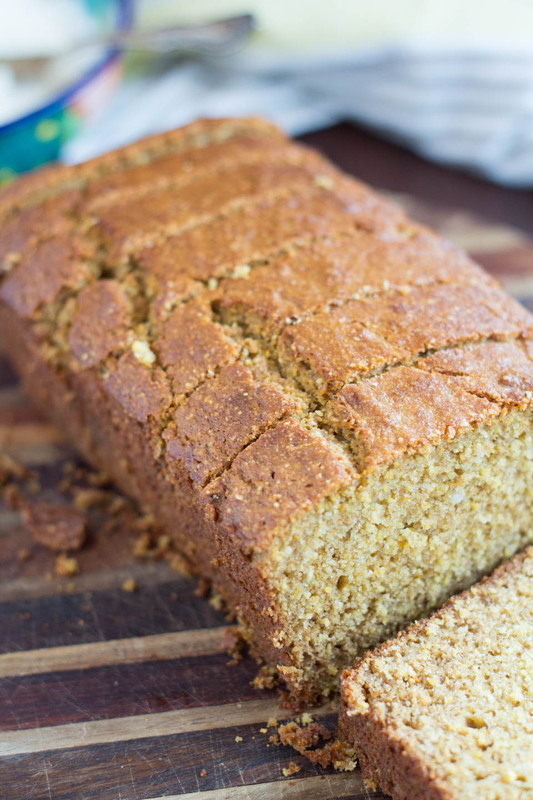 It reminds me of a banana bread texture, but more on the very slightly sweet denser side. 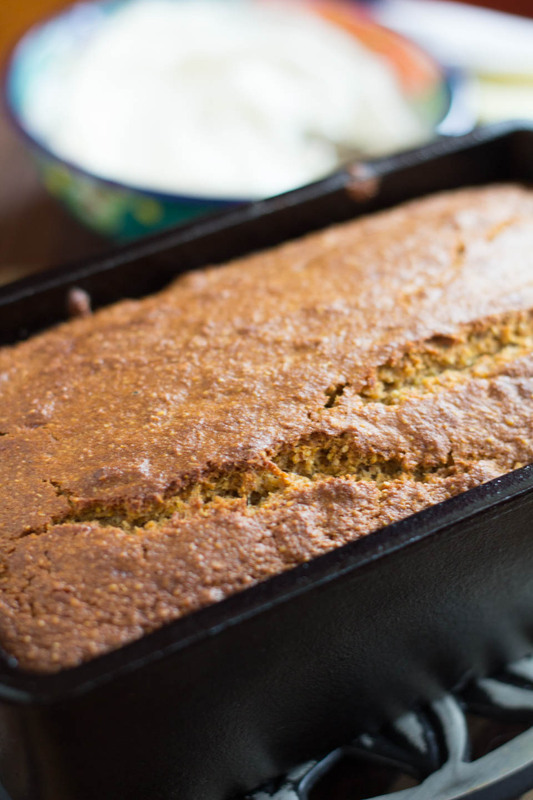 I love cornmeal and whole wheat together in any baked goods with a touch of orange zest, it makes it so Fall and perfect for breakfast. I ate for dessert one day, but I prefer it as a breakfast loaf. And if you have a cast iron bread pan, totally use it, it gives the crust a crunchy texture that I love, super rustic and pretty. 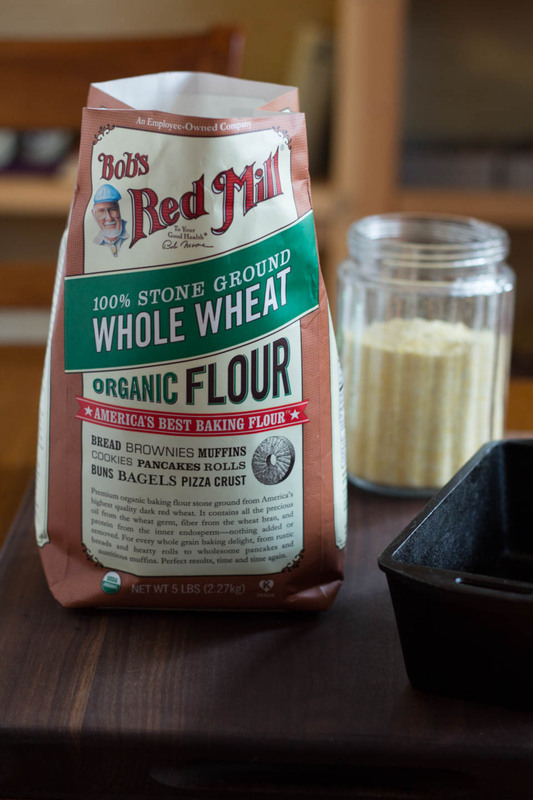 And there is nothing like the quality of whole wheat flour that comes from Bob’s. I literally do not use any other brand. They are not paying me to say that, I am just fortunate enough to work with the company that I already adored and have been using for over a decade, they are my favorite flour period. And you can totally see the lofty, grainy, beautiful texture of the flour in the picture below, see lovely lovely whole wheat goodness! So don’t forget to take care of yourself and feed yourself breakfast before the cooking frenzy this Thanksgiving, your tummy and body will thank you for it :). Place oven rack in center of the oven and preheat to 350 degrees. Butter or oil a loaf pan. Place whole wheat flour, cornmeal, sugar, baking soda, and salt in a large bowl, whisk to combine. Place buttermilk, melted butter, honey, eggs,orange zest, and orange juice in a medium bowl, whisk very well to combine. Add to dry ingredients, use a spatula to very gently combine. Only combine until the flour is just wet, do not over mix or the bread/cake will come out dense. Pour into the loaf pan and place in oven for 45 minutes, or until a toothpick comes out clean. While the loaf bakes, place labneh and honey in a small bowl, use a fork to combine. Serve with loaf instead of butter. Remove loaf from oven. Allow to cool for a few minutes. Remove from loaf pan, allow to cool on cooling rack for up to an hour before serving. Slice into 1/2-1 inch pieces. Serve warm with labneh toppping. Store leftovers in an airtight container for up to 3 days at room temperature. Store labneh in an airtight container in fridge for up to 5 days. This can be made a day in advanced, and warmed for serving. I want all of this right now, but that slice! Yummz! Thank you!!! Happy Thanksgiving, Gerry! Loving the idea of labneh on bread – and this bread looks so perfect! I love the use of the cornmeal in this. Looks wonderful. For sure! Freeze in an airtight freezer ziplock bag for up to 2 months. Thaw on counter, and for best results, once thawed re warm for a few minutes. I’ve never had lebneh, but I’d certainly love to smear it on a thick slice of your gorgeous loaf!!! Oh you must try it!!! And thank you so much! 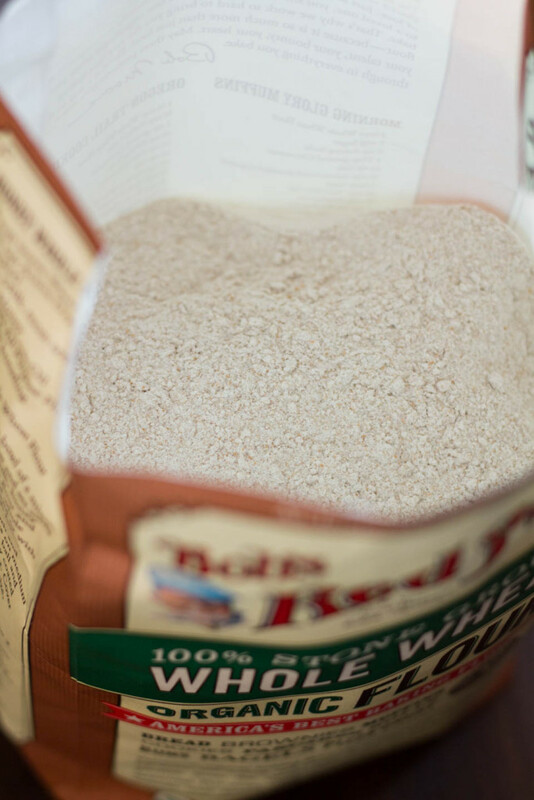 Bob’s Red Mill is one of the great companies of our time, no exaggeration! This looks like a wonderful way to start the day!